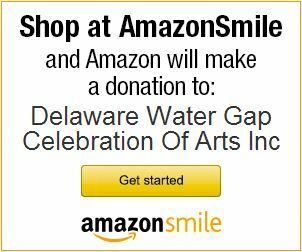 PITTSTON, PA(WVIA) – For the 17th consecutive year, WVIA FM’s All That Jazz with George Graham presents comprehensive coverage of the Delaware Water Gap Celebration of the Arts (COTA) Festival. Enjoy 10 nights of extraordinary jazz music starting Monday, November 17, 2014 at 7 p.m. on WVIA FM. The series will feature music from performances from the main stage of the festival which was held in the Poconos town of Delaware Water Gap on Sept. 5, 6 and 7, 2014 and recorded for broadcast by Chiaroscuro Records. The complete broadcast schedule of featured performances on All That Jazz on WVIA FM is below and can also be found at http://www.wvia.org/radio/all-that-jazz. Chiaroscuro Records is a division of WVIA Public Media and is the steward of some of the finest jazz recordings in the world. For more information about Chiaroscuro’s fine jazz recordings, visit www.chiaroscurojazz.org. WVIA FM can be found at 89.9 FM in northeast PA, 99.3 FM in Allentown, 105.7 FM in Bethlehem, 90.3 FM in Clarks Summit, 100.1 FM in Lewisburg, 89.7 FM (WVYA) in Williamsport, 89.3 FM in south central PA, 88.3 FM in Mainesburg, 91.5 FM (WPAU) in the Palmyra Township/Hawley/Lake Wallenpaupack region, 94.9 FM in Pottsville, 94.3 FM in Stroudsburg/East Stroudsburg, 105.7 FM in Sunbury, and 103.5 FM in Wellsboro. WVIA FM can also be heard via an online stream at http://www.wvia.org/radio/listen-live.